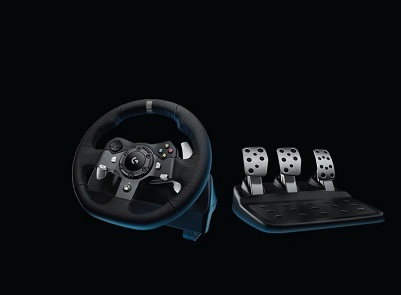 The Logitech introduced two new steering wheels for driving simulation games. Users of PS3 and PS4 will get G29, direct replacement for the G27. But whoever is accelerating the Xbox One can use G920. Both models are compatible with PCs and, according to the developer, should reach the market in October. 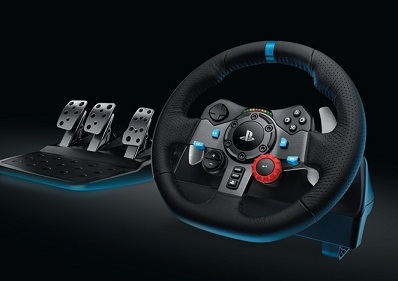 Project Cars - in both the PS4 and Xbox One - and Driveclub should be the first titles to offer compatibility with these steering wheels. The two flywheels use the same base, which is constructed from electric motors using gears, wheels and previous Logitech. This technology is considered inferior compared to models using belts and straps to transfer the force variations, as well as simulate force feedback racing games. Steering wheels with gears usually less precise and smooth in operation. Logitech said it heard criticism from G27 users when creating the new product. A predecessor of large defects, the optical encoder used to maintain calibration of the steering wheel, is now more durable. The former encoder, made of nylon, break easily, causing a problem that many users of the G27 know well: not to use the steering wheel because they lost the center with a few minutes of use. In relation to finishing, the steering wheel maintains the same diameter as the G27 and the coating leather. Depending on the version selected, the buttons on the face vary according to the platform (Sony or Microsoft). Not a very popular option is the exchange sold separately, unlike what happened with the fly G25 and G27. A very sensitive point in the new onslaught of Logitech in this market seems to be the price. Over the years, the steering wheels of the brand have always been seen as the option with better cost and benefit of this market niche. Now, however, at least abroad, the G29 will be sold with price of 399 euros, higher than Thrustmaster T300RS with straps technology, found in Europe at amounts at around 300 euro, also compatible with PS3, PS4 and PC.